5 day residential – taught in English and Italian. This course offers the opportunity for six English speaking participants (previously from Germany, UK and the US) to join six Italian participants to explore and celebrate their cultural differences through clowning. Expect good food, human warmth, laughter and late nights. The playfulness and authenticity of clowning offers a safe and fun way to meet with what is new and unfamiliar in our lives. Discover aspects of Italian life and culture which no travelling or tourism could offer. This course is highly recommended to people with or without experience. The experience of working in Italy makes it unlike any other clown courses – and many keep coming back year after year. 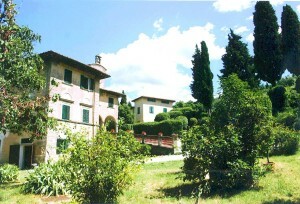 The workshop is set in the beautiful region of Tuscany near Florence. The venue is 35 km south of Florence with a panoramic view over the Arno River Valley. Known for its setting and for its hospitality, the center is ideal for study, art, and music groups and for reunions, seminars, and retreats. DEPOSIT: 190 EUROS non-returnable deposit secures your place. TO SIGN UP for the course, simply pay your deposit of 190 EUROS with Paypal or a Bank Card below. If full please email us at christinemacri@nosetonose.info to go on our waiting list. Q: Can I talk to someone? A: If this is the first time you have worked with Nose to Nose, you might like to write or talk to us. Just send an email with your phone number to christinemacri@nosetonose.info and we’ll call you as soon as possible. Q: Are there still spaces available on the course? A: To find out just click on the payment link above and you will see the number of places available. It will not be possible for you to book if there are no spaces available. Q: Can you put me on the waiting list? A: Sure, just write to christinemacri@nosetonose.info to ask. We will put you on our waiting list and let you know when a place becomes available. Early booking will mean cheaper fares.